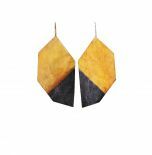 A pair of sterling silver single fold earrings. 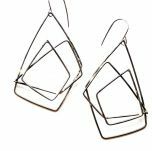 These earrings are made of sterling silver square wire and posts. Each pair has been formed and soldered by hand. They are made of 16 guage square wire and are roughly 1 1/2 inches in height.